Are turkeys gobbling up your hearing aid sales? I know it can feel that way over the Thanksgiving holidays. All of a sudden that steady stream of new patients goes dry and you’re left with an empty waiting room. Here in Connecticut, wild turkeys have made a comeback. A few have even taken up residence in the parking lot behind the fire station. With every one of your patients focused on turkey for Thanksgiving it wouldn’t be hard to come to the conclusion that, yes, turkeys are gobbling up your hearing aid sales in November. In December it gets even worse when Santa shows up at every mall and street corner to distract new patients from scheduling an appointment. But hold on for a dang minute…turkeys gobbling up your sales? Santa stealing your patients? What’s really going on and what can you do to make November and December your best months ever? Let’s start with the obvious hearing aid marketing opportunity. The holiday season is a time when people get together to celebrate, communicate and enjoy family and friends. It’s the time of year when hearing aids bring conversations to life and help your patients make memories. Which makes it one of the best times of year to market hearing aids – hands down. The first step is to look at all the marketing others are doing around Thanksgiving, Black Friday, and the holidays. Instead of seeing it as gobbling up your sales – see it as the huge hearing aid marketing opportunity it really is. 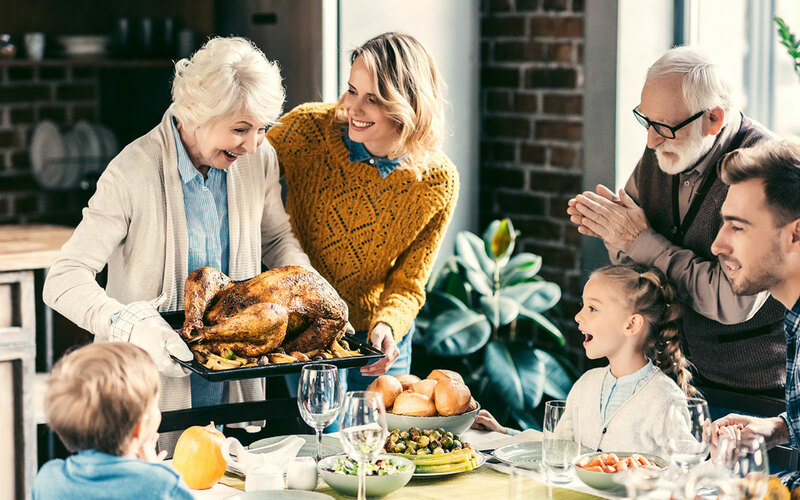 Yes, you can use turkeys, Black Friday and the entire holiday season to connect people with their loved ones and ramp up sales too. Use the 10 ideas below in stuff your calendar with new patients and sell more hearing aids this year. Focus your marketing on women. I know the stereotype is they do all the cooking including buying the turkey, but they also are the ones to prompt their spouses to schedule an appointment. Use the right imagery. No we’re not talking about photogenic turkeys but the pictures you use on your website. No one likes to think of themselves as old. Instead they like to think of themselves as 10 years younger than they really are. So if your target market is people in their 60s, show pictures of people in their 50s. Focus on what you’re selling. Sure you provide patients with hearing aids, but what you’re selling in your hearing aid marketing copy is youthfulness and independence. Hint – that suggests using more pictures of youthfulness and less of ears and hearing aids. The key to getting people in the door is to build trust. Short of a direct referral from a friend, the best way to do this is to include a steady stream of fresh glowing patient reviews. Which is what our Online Review Builder does for you. Make your own Black Friday….just don’t do it on the same day. It’s unlikely they’ll miss the doorbusters at their favorite store to have a hearing test and really there’s no reason to try to compete with steep discounts on flat screen TV’s. However, offering discounts on holiday-season appointment if they are scheduled on a specific day will help your patients enjoy everything the holidays represent and bring in extra income. If you use email or direct mail for your hearing aid marketing campaign remember that people will be calling. They’ll be calling you the day before Thanksgiving, on Thanksgiving day and on Black Friday and the Saturday after. Make sure to let your answering service and live chat service know so they can schedule all the people who call. Thank the community — offer free hearing evaluations to people in your community on specific days. Or, consider offering free hearing evaluations to people who serve your community such as law enforcement, firemen and EMS workers, as a way to give back to the entire community. You can send the message out through all your marketing channels, such as PPC, that you’re giving back to the community and will offer a free hearing evaluation to the first 10 community pillars that respond to your message. Make it irresistible. Offer a free trial of hearing aids the week before Thanksgiving to the first 20 people who respond. Alternately, consider offering a free test drive to folks for Thanksgiving Day. Share the gift of hearing. Gift cards aren’t just for sweaters. Most people know someone who need a hearing aid. Advertise gift certificates for a full hearing evaluation, plus a discount on hearing aids if they need them. Attend benefit/open enrollment meetings. Toward the end of the year, many larger employers will host a benefit/open enrollment meeting or “health fair.” These events encourage their workers to take care of their health. Ask larger employers nearby if they will let you attend to talk about the importance of hearing. If you have portable equipment, you could also offer to do a quick screening and then make an appointment for people who show need. Try Facebook or other PPC advertising. The holidays are often a time of year when people hop on social media to share gift ideas, photos from parties and jokes about the holiday frenzy. Experiment with a medical PPC advertising campaign geared toward the holidays. Want to avoid having turkeys gobbling up your hearing aid sales? 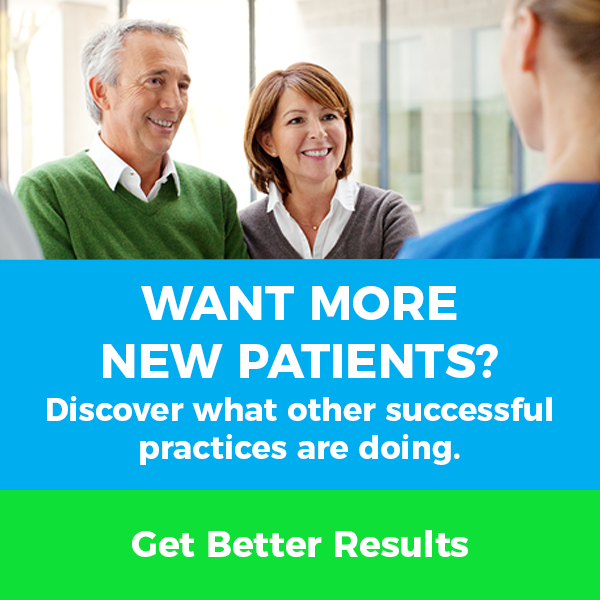 Discover how to fill your waiting room with new patients today.